If you want to retire comfortably and happily in Singapore, you need to hear this. These are the most important lessons we learned from managing a million dollar fund and receiving more than 5 figure in dividend cheques every year. IT MOST DOES CERTAINLY APPLY TO YOU. Every success and wealth creation are fundamentally engineered through a process that you are about to discover. and what you are about to read are the process to getting an annual 6-figure payout from income investing. One of the many mistakes many people make is starting later than they should. The earlier you start, the more you’ll be able to compound upwards. It’s all about re-investing your profits and allow them to grow over time. I have a friend (Let’s just call him Mr X) who started investing during his time as a university student. Today, at age 44, he is retired and receives a dividend payout of more than $170,000 every year. $170,000… without working any harder. Yes, he is reaping his fruits of labor today but it’s all possible because he started early and engineer a process to grow his money over the span of 20 years. A dollar saved, is a dollar earned. But how many of us really have the luxury to do that? So, I’ll get down to the basics of how your everyday decisions can impact your future. A quick example, how often do you eat out everyday? and if so, is it a restaurant, a food court or a local kopitiam? That’s over $10,000 and $20,000 (2 person) in extra savings a year between the 2 dining options. and you now have $30,000 / $60,000 (2 person) in savings. Remember, this is on top of your personal savings you set aside every month. There will be time for celebration, to splurge and make merry. But don’t spoil yourself every single day over unnecessary indulgence. The question is… can mere savings make you rich? So what do you do with those savings? Set it aside and deposit it in a fix deposit account. One that gives higher interest than your usual savings account but at the same time, allows you the flexibility to withdraw anytime without any penalty. I like to call this a war chest. It’s meant to be utilized whenever opportunity calls. If you’ve invested in Thai Beverage back in 2011, you would have received a total of 266% (including dividends) over a span of 5 years. A mere $50,000 invested would have grown into over $183,000 today. If you’ve invested in SATS during the major ’09 crisis, you would be sitting on a 416% (including dividends) over a span of 6 years. The same $50,000 invested would have ballooned into over $258,000 today. With the right time and strategy, you can double, triple or quadruple that volume within a very short span of time. But you need to have that “volume” in your war chest to begin with. The more you have, the more you’ll receive. With prudent saving and careful deployment, you now have the ‘volume’ to create your ultimate retirement lifestyle. A 5% yield on a $100,000 investment would give you $5,000 of extra cash every year. A 5% yield on $500,000 would then bring you $25,000 and $50,000 on a Million. What if instead of 5%, you are able to tune in 8%, 9% or even 10% in yield… will that help in increasing that extra cash you get every year? The right time being when the market are pessimistic and the right stocks being the companies that are able to improve their earnings and increase their dividend payouts over time. Here’s the yield you are getting every year from Parkway Life if you bought it in 2011. 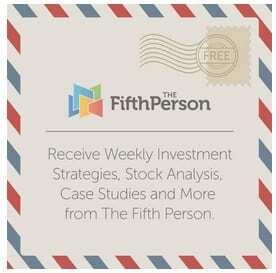 If you receive $5,000 in dividends, what would you do with it? Spend it on a nice holiday? Get yourself a luxurious Louis Vuitton bag? When I first met X, he was taking home about $123,000 in dividends, pretty impressive by any ordinary standards. What do you think he did with that money? 5 years on, he now takes home $170,000 in passive income. Here’s the question… for every $100,000 reinvested for income, you can take back an additional $6000 – $7000 every year… would you still choose to spend it all? Sure, that $5,000 may not seemed like a lot, but it could be your ticket to “Free Travel”, “Free Bag”, “Free Car”, all paid by dividends in years down the road. So how can I have that $100,000 in dividends every year? Will $50,000 in dividends every year cover what you’ve already need? Will getting an extra $20,000 or $30,000 in dividends every year help make your life better? But rather, It’s about engineering and designing your own financial future, for a better retirement and a more fulfilling life without money worries.